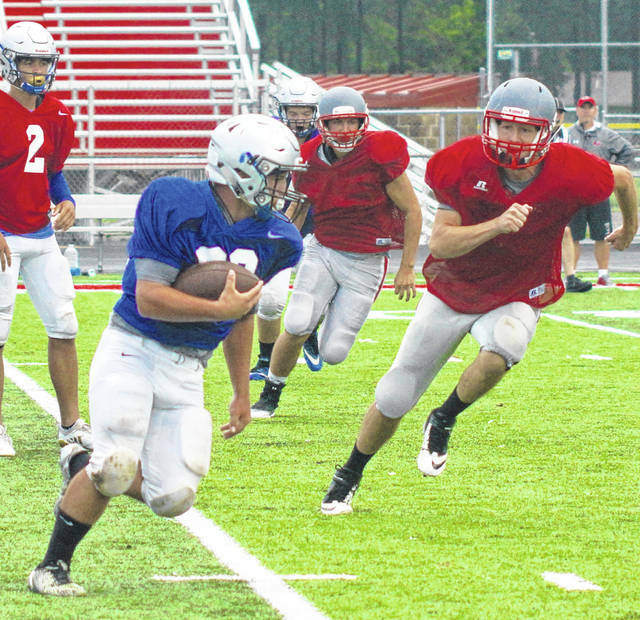 Brandon Cubbage, at left, a sophomore, runs for the Blue Lions during a scrimmage at Goshen High School Saturday, Aug. 11, 2018. 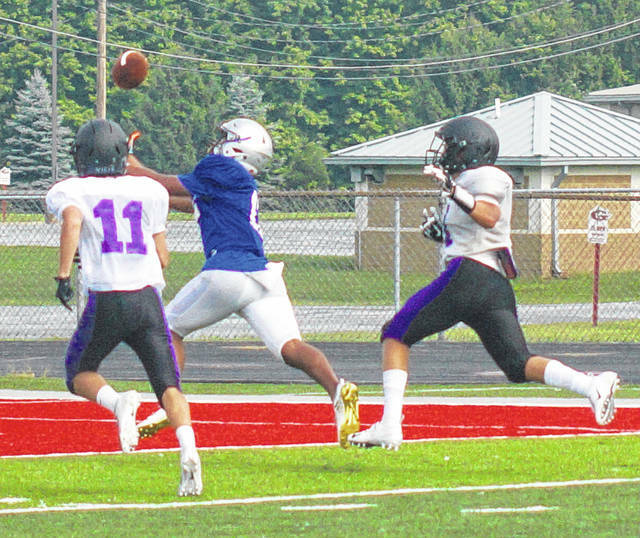 Washington Blue Lion senior Omar Porter splits two defenders to catch a pass during a scrimmage at Goshen High School Saturday, Aug. 11, 2018. The Blue Lions have a scrimmage at Amanda Clearcreek High School Friday at 7 p.m. Washington opens the 2018 regular season at Blanchester Friday, Aug. 24 at 7 p.m.